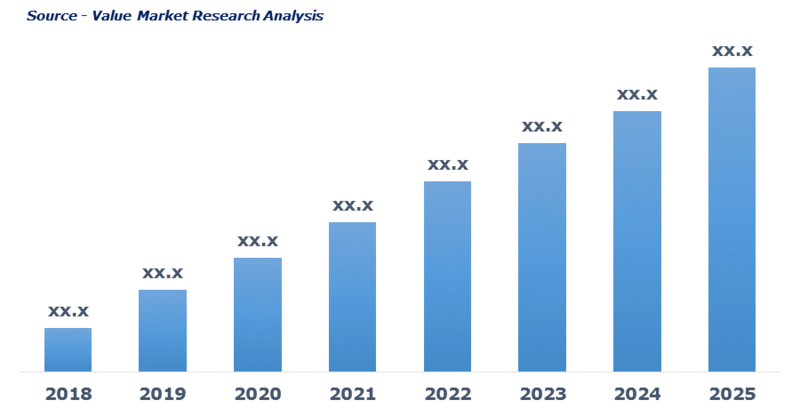 As per this study the Global IoT Sensor Market was valued USD 9.6 BN (by revenue) in 2018 and is anticipated to reach USD 34.4 BN by 2025 with a CAGR of 20%. Sensors are the devices that detect the changes occurring in the surrounding. In IoT, the electromechanical system sensors form backbone of the user interface and the device that detects the changes and transform it into electrical signal incase of smart devices. Various type of sensors are available that are highly sensitive to physical phenomena such as pressure, temperature, light, speed and many more.